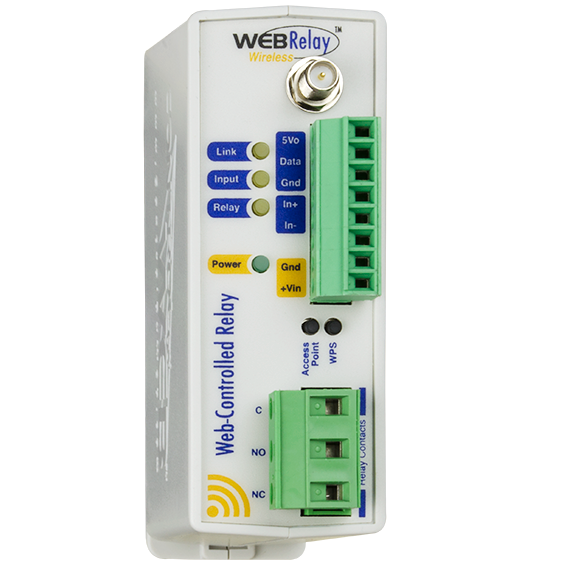 The WebRelay Wireless™ is an easy to use Wi-Fi enabled relay, temperature/humidity monitor and status alerting device. The WebRelay Wireless has a built-in relay for controlling lights, motors and other relatively high current loads, a digital input which can be used to monitor and report the status of switch-closure sensors and a “1-Wire” port for connecting up to four digital temperature/humidity 1-Wire sensors. 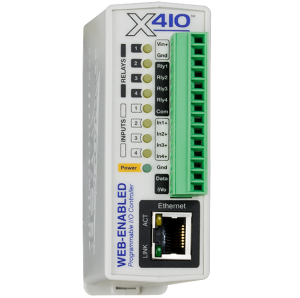 The WebRelay Wireless works well as a stand-alone device that can be controlled and monitored using a standard web browser. 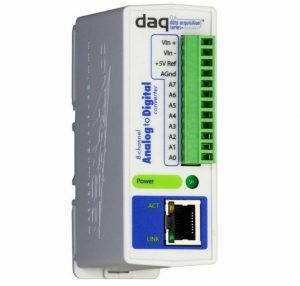 It can be set up and configured using simple menus and drop-down lists. 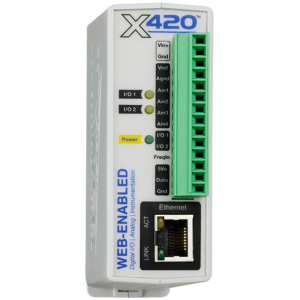 The WebRelay Wireless can be a self-contained wireless access point that requires no additional servers or ControlByWeb devices. In this mode the WebRelay Wireless provides live, real-time temperatures or input status directly to a user through web browsers or the CBW Mobile app (optional). Setup is simple. There is no app to download, no subscription to buy, no software required, and no programming necessary for setup or use. 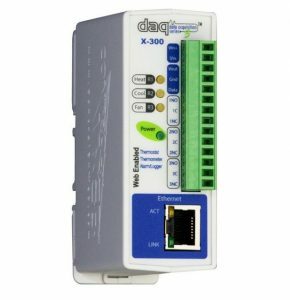 Record data such as sensor data and changes in I/O state. Both periodic and event-based logging are supported. 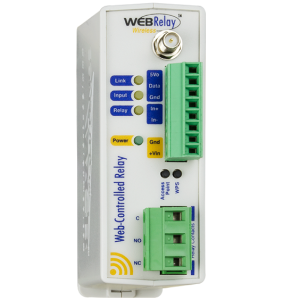 The WebRelay Wireless has the ability to remotely control relays located on other ControlByWeb devices.